Year After Year, Mile After Mile!" If your Honda has fewer than 36,000 miles and is a 2016 or newer and you plan on keeping it an extended length of time past the factory warranty, you can protect your investment with Honda Care; the only service contract from the people that built your car. Maintain your vehicle in accordance with its recommended maintenance schedule outlined in your warranty booklet and your Honda Care service contract can do the rest, covering potentially expensive repairs for virtually every component on your vehicle, even items like the timing belt, water pump and constant-velocity joints. If you want extended coverage beyond the original Honda bumper-to-bumper warranty, than there is no better choice at any price. With the pricing of Honda repairs going up & up, you may find that the high cost of just one repair can exceed the Honda Care price. If you´re out of town and have a problem and you need repair when you´re more than 100 miles from home, Honda Care will provide up to $100 per day, for up to 3 days, for meals and lodging. Honda Care will reimburse you up to $35 a day, for up to 6 days, should your Honda require any covered repairs. This benefit kicks in if a covered repair takes more than 6 minutes! NEW BENEFITS FOR 2015 HONDA VEHICLES! The $100 towing limit has been waived. Honda will provide towing to the closest Honda or Acura dealer regardless of miles. Towing coverage can also be extended an additional 25 miles if a customer wants to be towed to a specific dealer. All repairs will be made by factory-trained technicians at authorized Honda dealerships using only Genuine Honda or American Honda authorized parts, just like your regular Honda warranty. If no dealership is available within towing distance, repairs will be made at a Honda Care-authorized service center. There are many third party companies selling what they call a "Honda extended warranty", but there is only one vehicle service contract honored by Honda dealers all over the country. Your vehicle is considered to be "new" until 6,000 miles. Up until this point, your vehicle qualifies for up to 8 years/120,000 miles of factory coverage. Once your vehicle exceeds 6,000, it still qualifies for the same benefits, but the term options are reduced (coverage begins from date of service contract). Also by purchasing today, you will instantly be entered into the roadside assistance program, which provides you with car rental, lock out services, towing and other accompanying benefits of the policy. This plan is backed by the American Honda Finance Corporation (a subsidiary of American Honda Motor Cars Inc.) and is fully endorsed by the Manufacturer. This is not a "third party" or "aftermarket" warranty that some websites, dealerships and insurance companies offer. 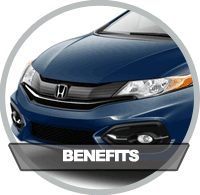 Enrollment into this program ensures that you are purchasing a plan with a direct affiliation to Honda. Given the complexity of your vehicle, Honda strongly recommends that your vehicle´s service be provided by a Certified Honda Technician. However, you do have the option of using another service facility if you choose to do so. You must obtain prior authorization from the administrator by calling toll free 1-800-999-5901 before incurring any repair costs. 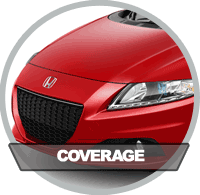 Honda will then authorize the reasonable cost of any repair for a covered component. CAN HELP SIMPLIFY YOUR LIFE! By eliminating the worry of certain costly automotive repairs for your vehicle beyond the original Honda bumper-to-bumper warranty. 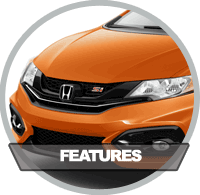 Unlike many extended service contracts, Honda´s exclusive factory-backed protection package is transferable and is ideal for those who want an extra measure of security for their automotive investment. So relax and enjoy your ride, because you have coverage that you can rely on. Safeguard yourself from certain potentially expensive repair bills for up to 120,000 miles with low or no deductible coverage plus vehicle and travel protection. Just one repair can exceed the cost of Honda Care. American Honda Financial Services offers extended service contracts for new Honda automobiles that are still within the original full factory warranty. We have a service contract that´s right for you. Check out our Acura Care and Honda Care programs, view our printable Honda Care brochure, or review a sample Honda Care contract. If you have any other questions, visit our FAQs or contact us directly. Florida residents may only purchase Honda Care and Acura Care coverage from a Florida Honda or Acura dealer.